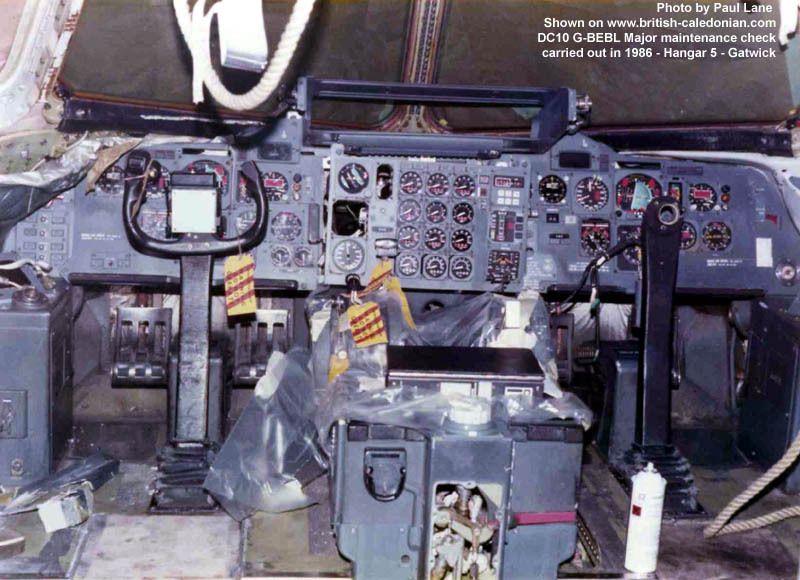 The D-Check is the most important maintenance event for any airplane. 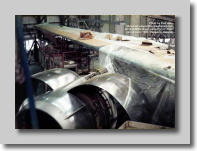 This check occurs approximately every 4-5 years. 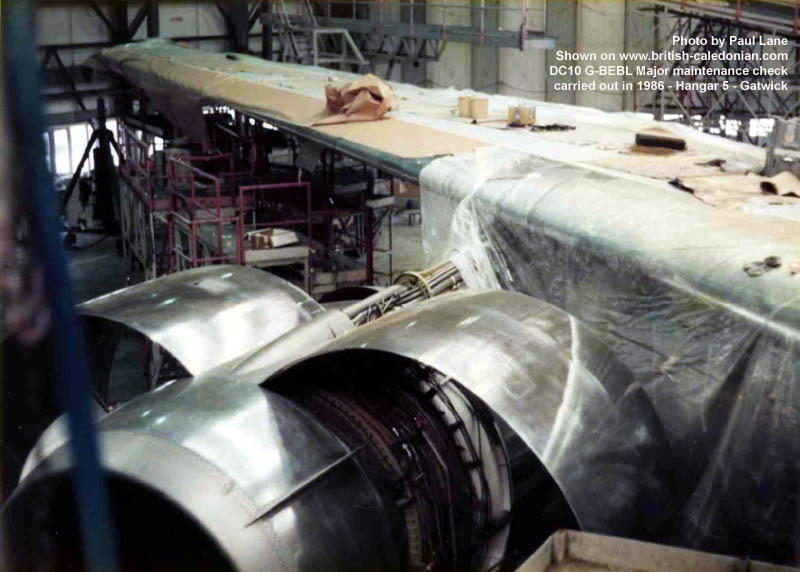 This is the check that, more or less, takes the entire airplane apart for inspection. 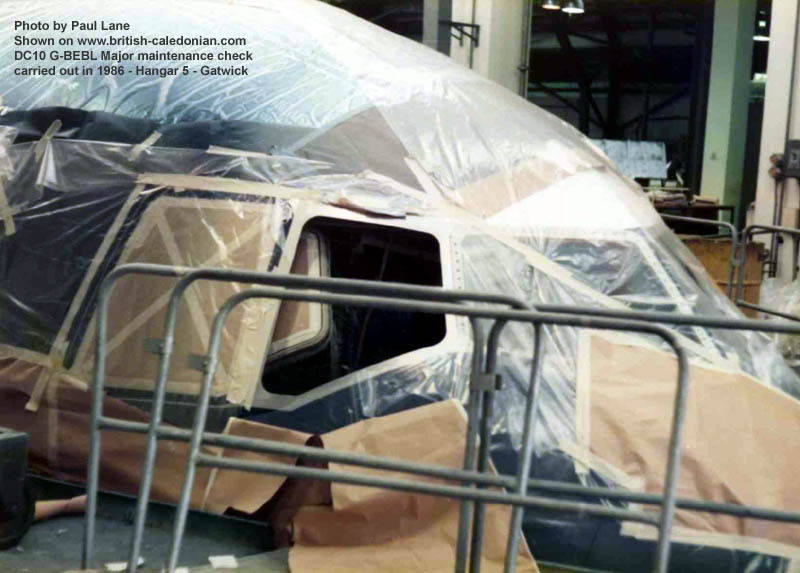 When the aircraft subsequently leaves the hangar after around four to six weeks it is better than new: not only will everything have been repaired or exchanged that can wear in the slightest, moreover all product improvements in the technology and passenger comfort that have been launched by the manufacturers over the past years will have been installed. 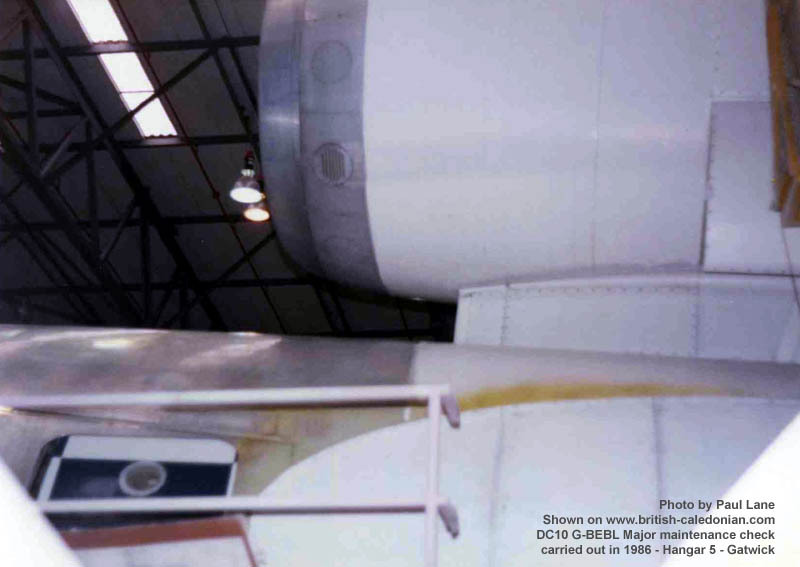 The D-Checks start with the stripping of the exterior paintwork. 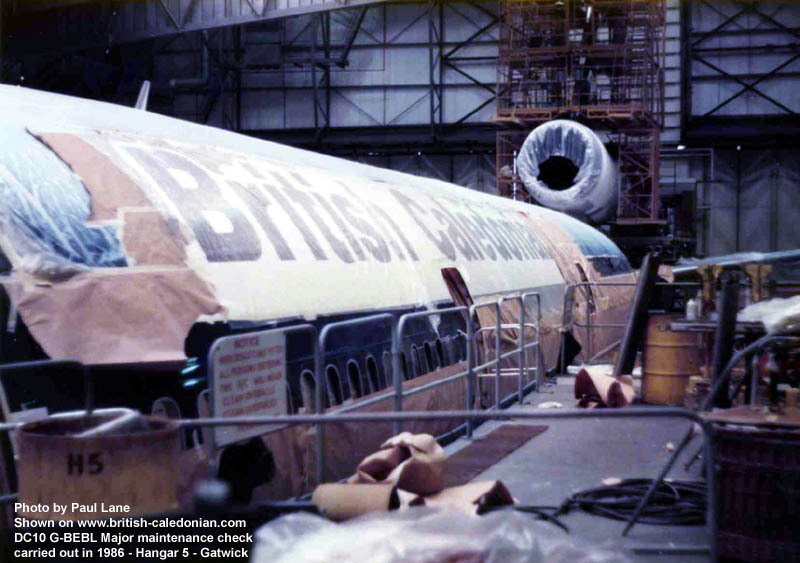 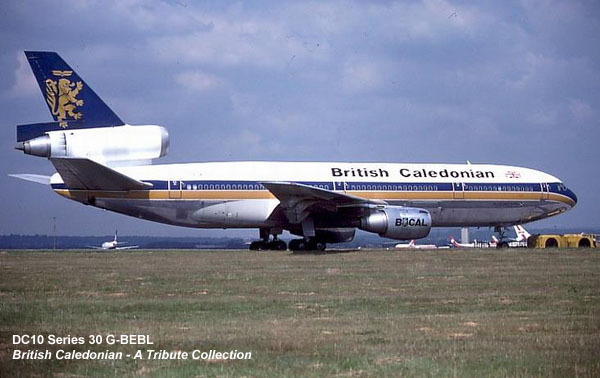 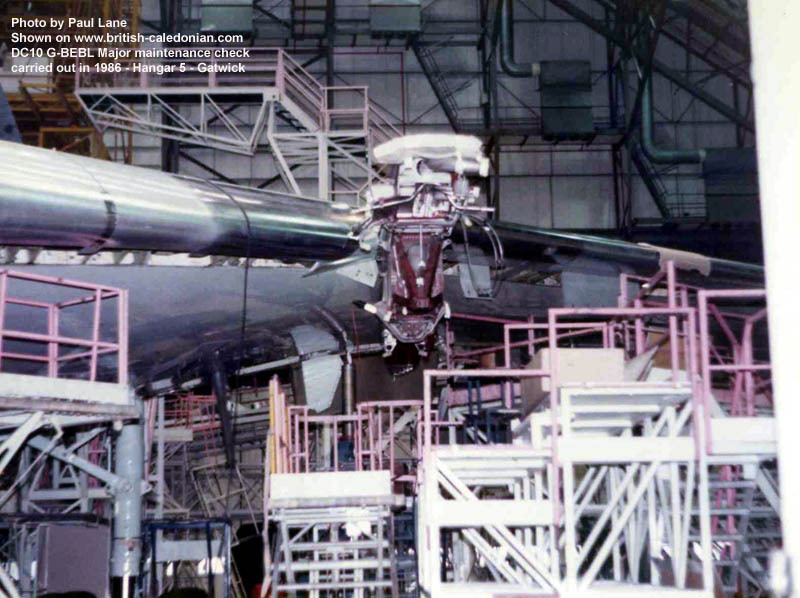 The aircraft is taken apart completely and each part checked thoroughly. 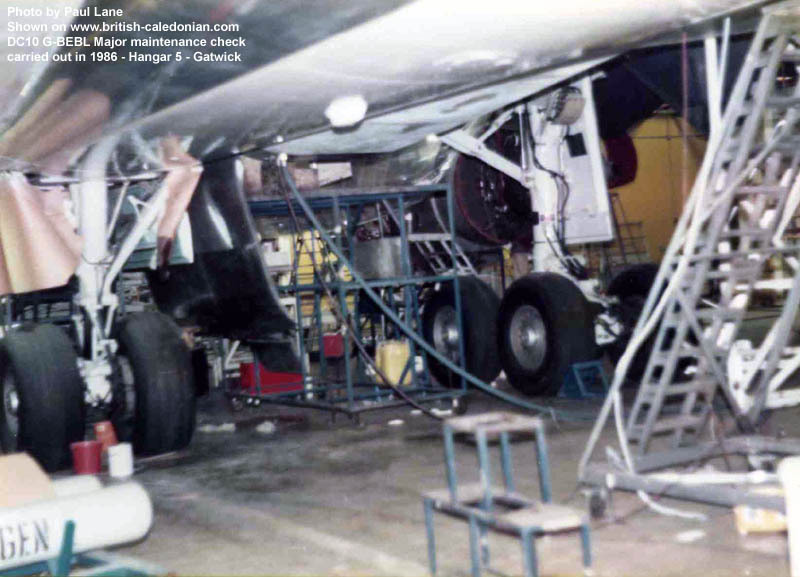 The engines are the landing gear are stripped down. 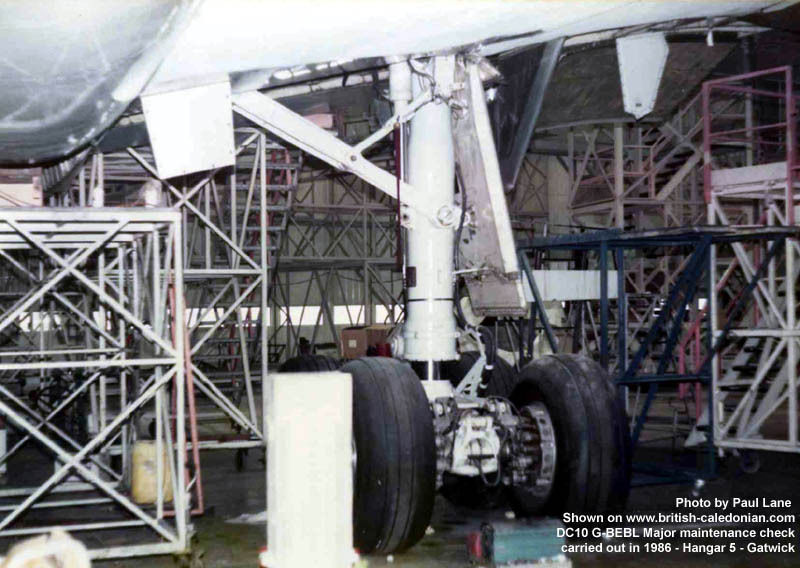 The aircraft is placed on massive support brackets. 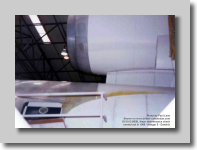 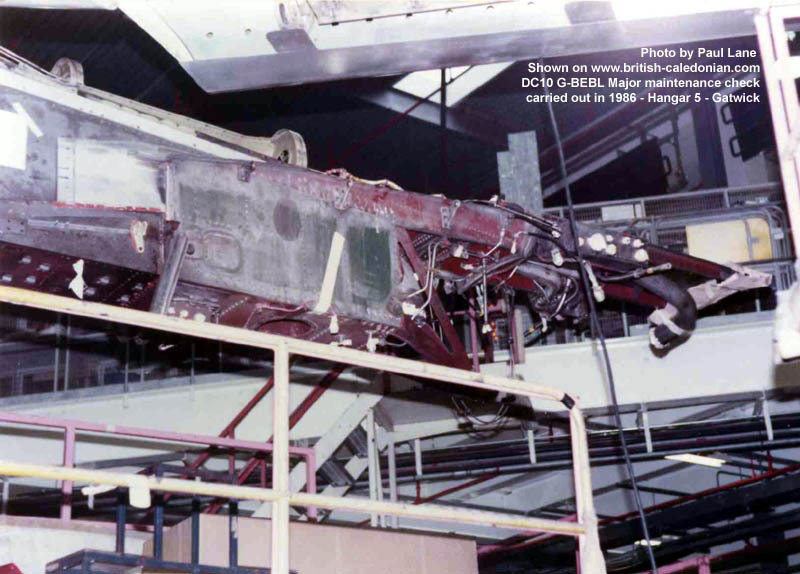 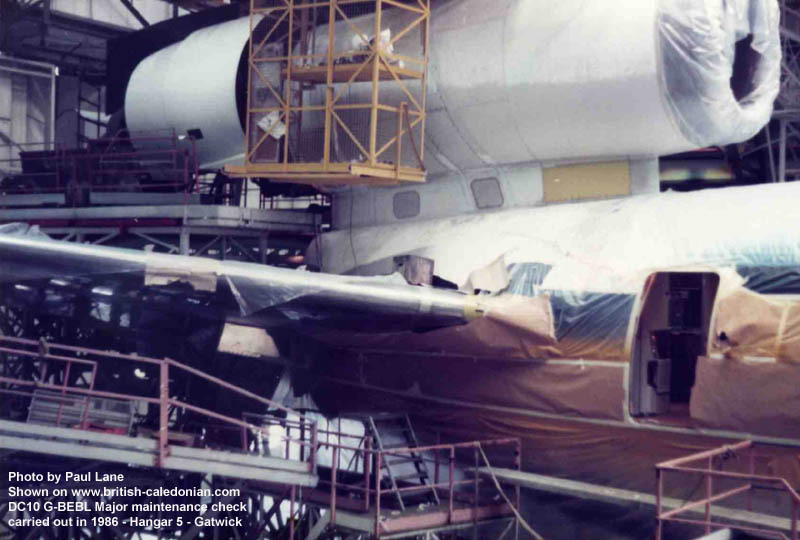 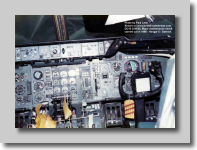 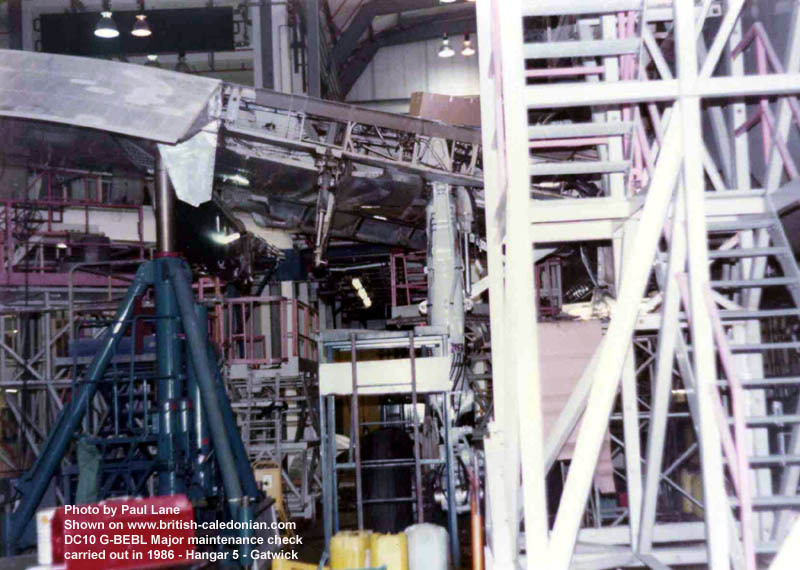 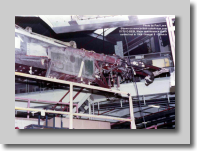 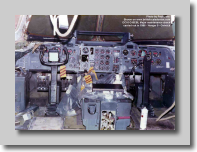 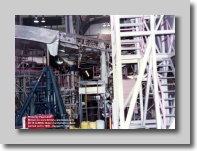 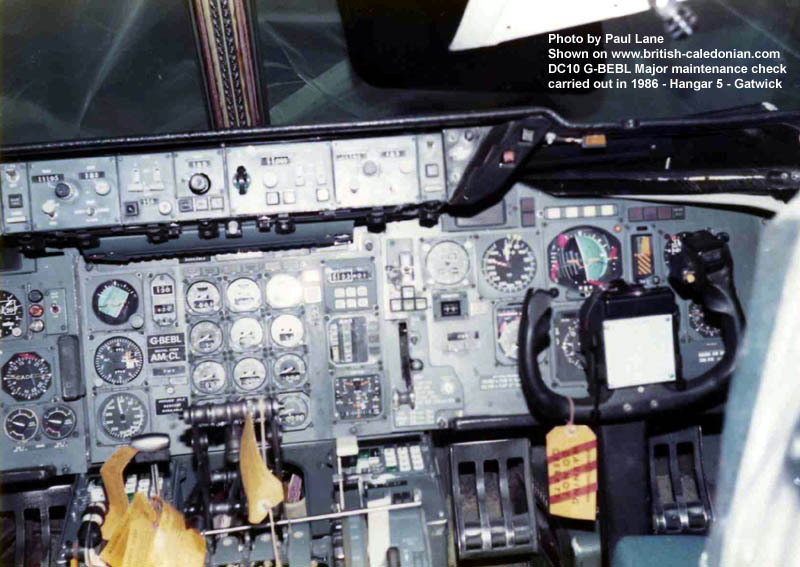 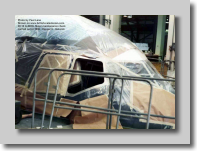 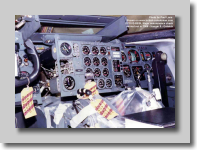 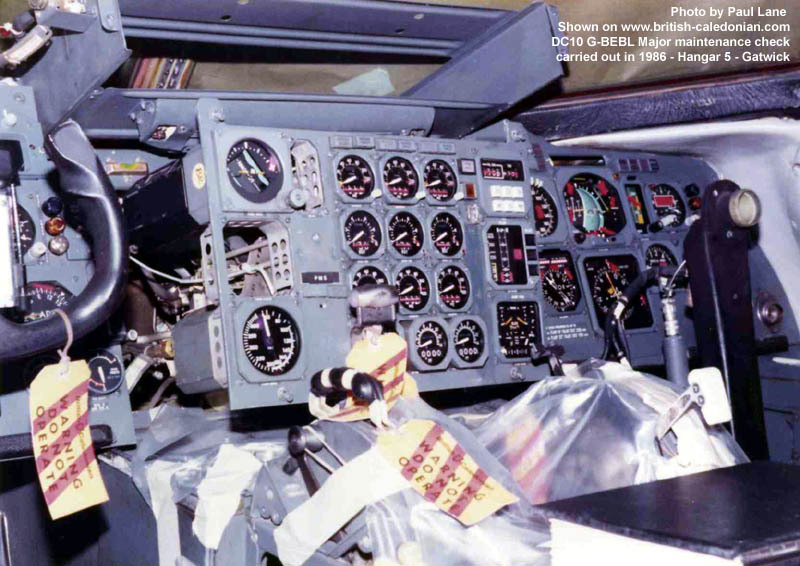 Large parts of the outer paneling are removed, uncovering the airframe, supporting structure and wings for a meticulous check for any material fatigue, hair cracks or any other damage. 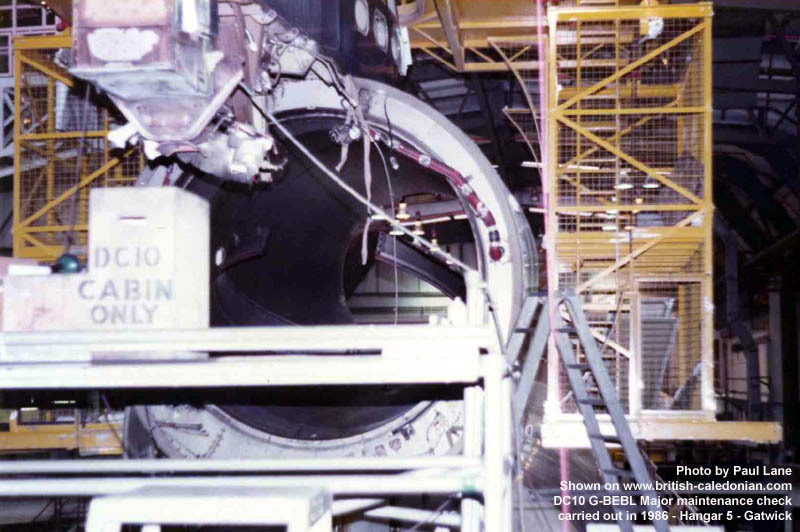 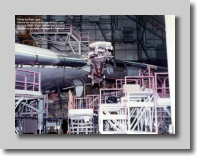 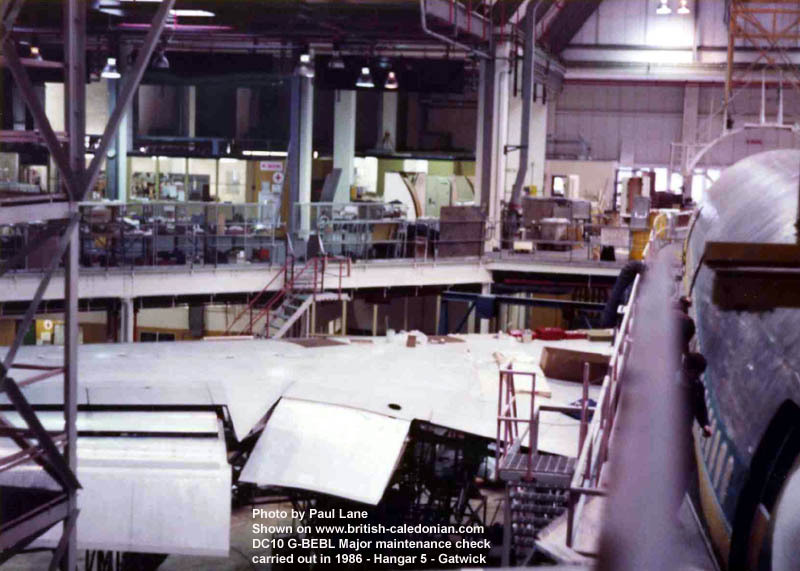 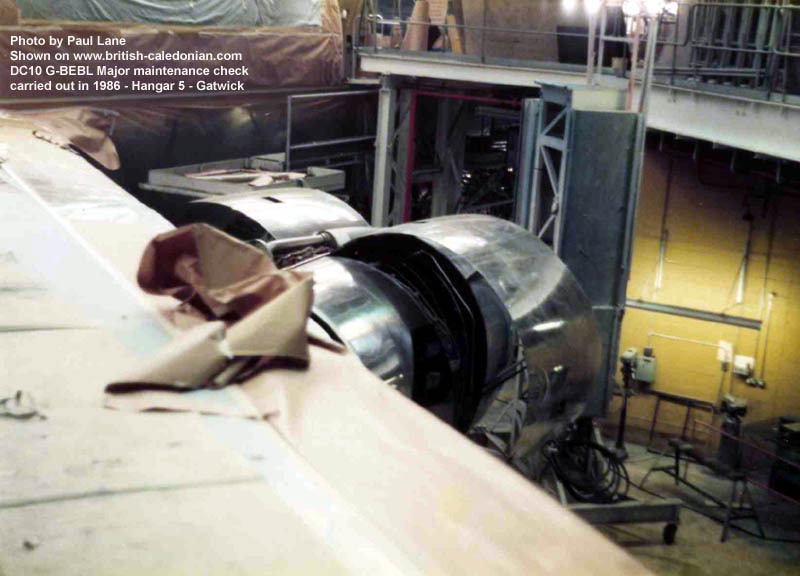 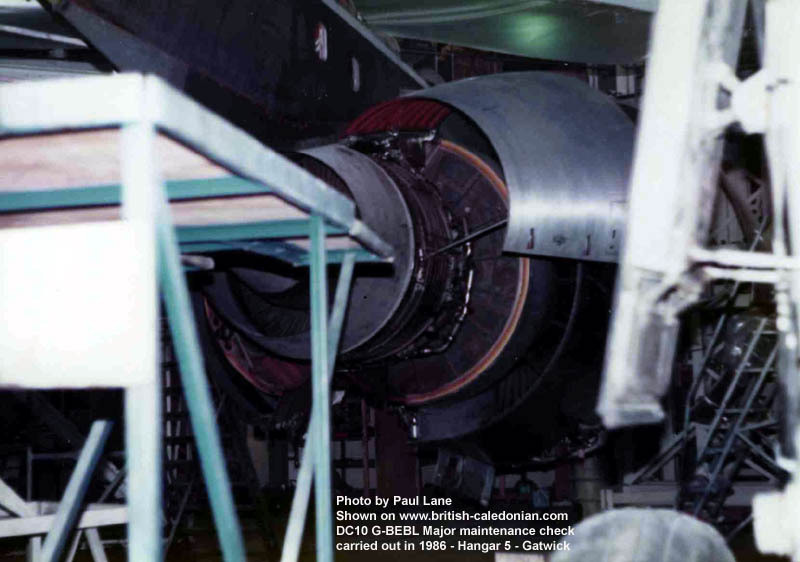 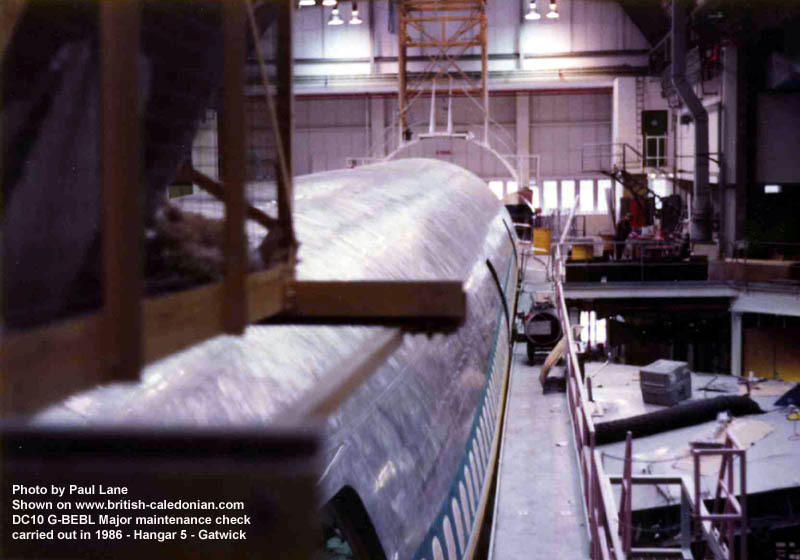 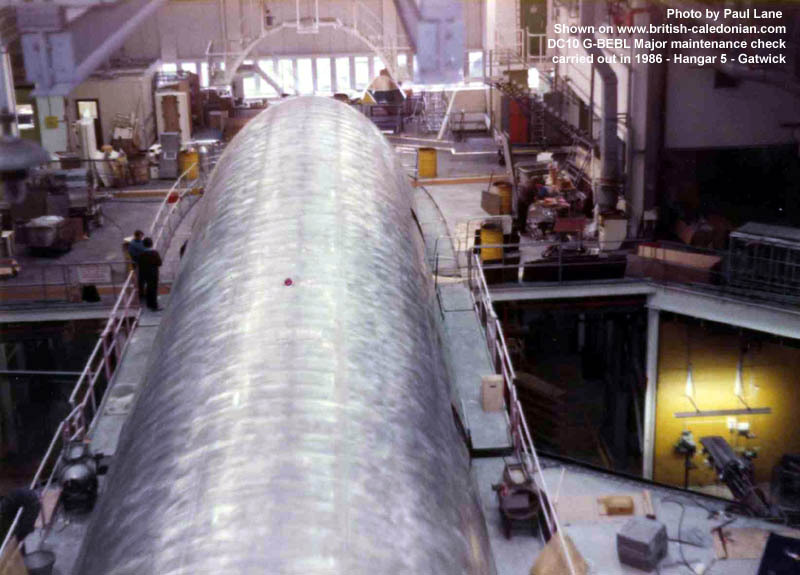 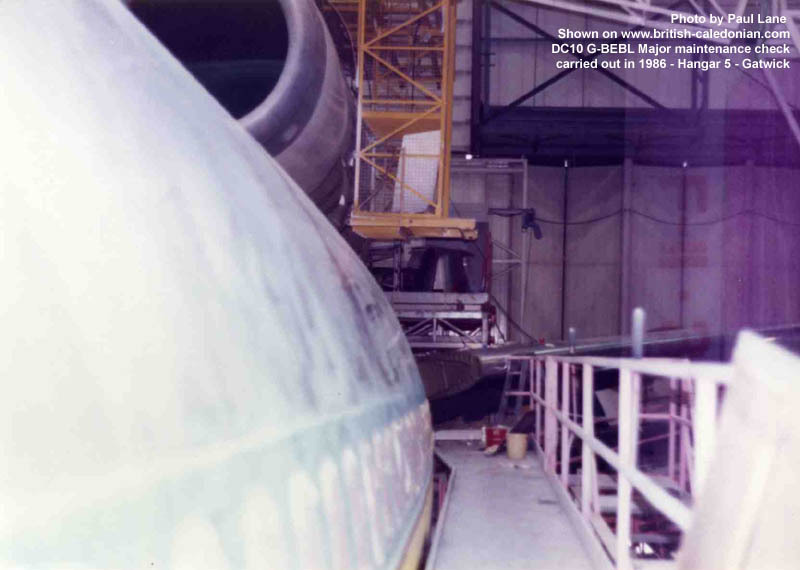 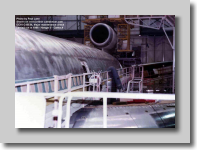 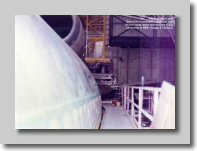 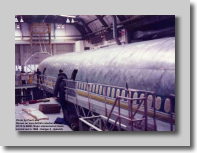 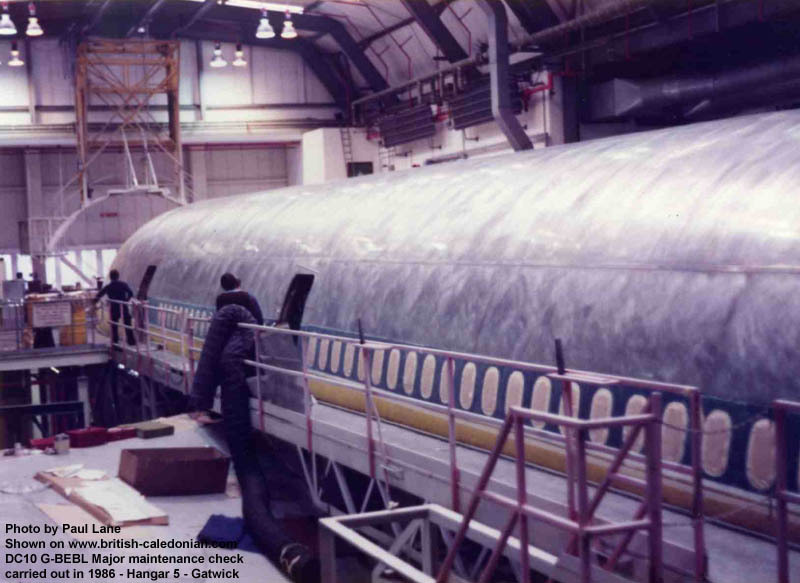 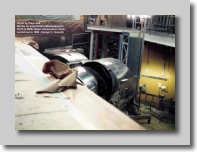 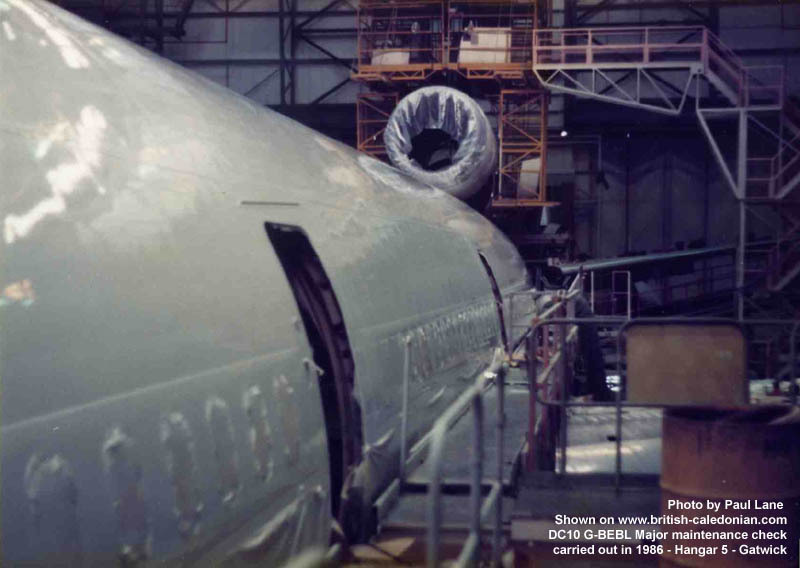 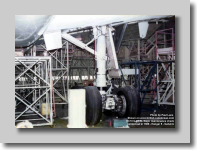 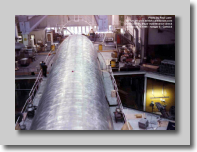 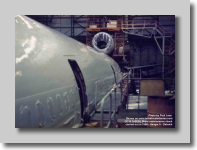 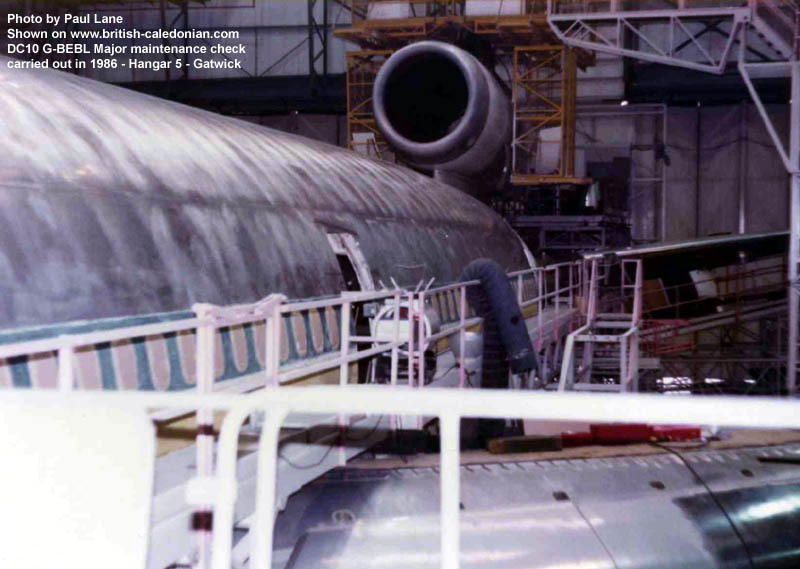 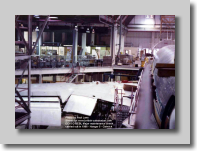 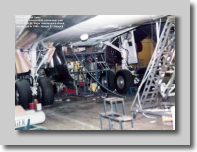 In the series of photos below from Paul, you can see just how much work is involved in dismantling a DC10 and to what depths the inspection goes too.